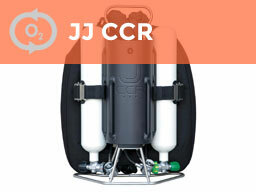 Rebreathers have opened up a whole new dimension in diving, offering the ultimate in gas-efficient 'no bubbles' diving for recreational and technical divers alike. 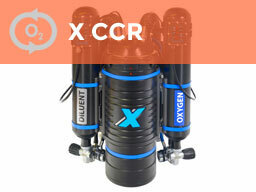 By recycling the gas that we exhale, rebreathers are super-efficient gas management tools that use a fraction of the gas used by conventional open circuit divers. 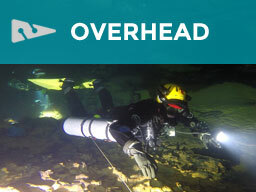 The IANTD Closed Circuit Rebreather Diver program trains the diver in the theory and practical skills necessary to safely dive using a closed circuit rebreather in the Advanced Nitrox/Advanced Recreational Trimix depth range. You will learn how to strip down, prepare and check the rebreather and how to conduct pre dive safety procedures before each dive and then develop your skills from confined to open water using a closed circuit rebreather. 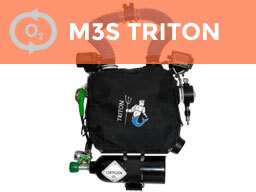 The program qualifies divers in the safe use of a closed circuit rebreather for dives to a maximum depth of 51m if using diluent with helium or 42m if using an air diluent. 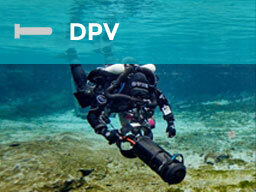 Must be an IANTD Advanced EANx Diver or Advanced Recreational Trimix Diver or equivalent. 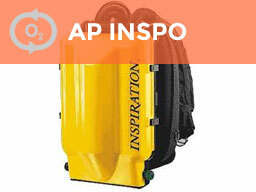 IANTD CCR-specific Diver Student Kit. 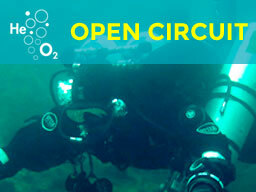 Own or have unlimited access to an approved closed circuit rebreather. 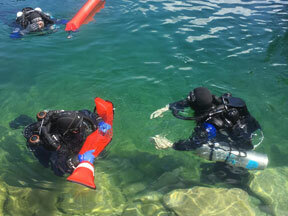 The IANTD Normoxic Trimix CCR Diver program takes the diver to the next step in their closed circuit training to cover decompression diving in the extended range using a normoxic trimix diluent. Building on the closed circuit procedures learnt in the IANTD CCR Diver program, you will gain the skills and knowledge to extend your closed circuit diving safely. A significant part of the course covers the bailout equipment and procedures necessary to take the diver into the extended range environment whilst using closed circuit equipment. 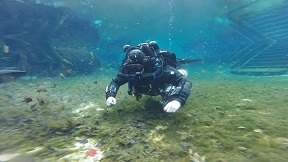 The knowledge and skills taught in the IANTD Normoxic Trimix CCR Diver program qualify divers to perform closed circuit trimix dives to a maximum depth of 70m. Must be an IANTD CCR Diver or equivalent. 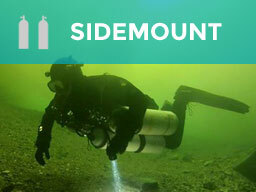 Must have 20 dives and 25 hours on the rebreather being used. Divers certified as OC Normoxic Trimix may take this course combined with the Rebreather Diver course with qualification given once the 20 dives and 25 hours are logged. 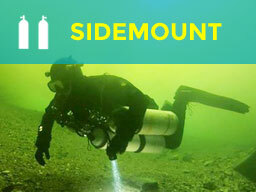 IANTD Normoxic Trimix Diver Student Kit for CCR. 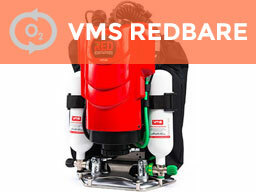 Own or have unlimited access to an approved rebreather. 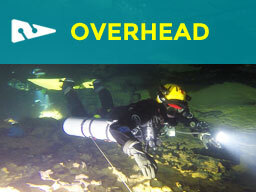 The IANTD Trimix Closed Circuit Rebreather Diver program trains experienced divers to use a closed circuit rebreather in the full trimix depth range. 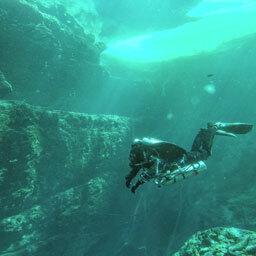 The program concentrates on the bailout requirements and planning to dive safely in this environment. The knowledge and skills taught in the IANTD Trimix CCR Diver program qualify divers to perform closed circuit trimix dives to a maximum depth of 100m. 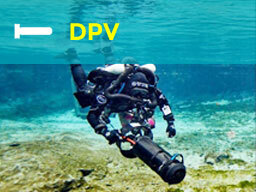 IANTD Normoxic Trimix CCR Diver or equivalent. Must have 50 hours on the rebreather being trained. 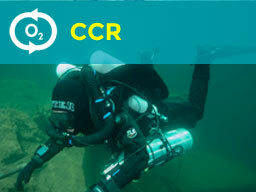 IANTD Trimix Diver Student Kit for CCR.